In major events such as the anniversary of the foundation, the opening ceremony, year-end party... dancing is the most popular performances by the flexibility and full of art. 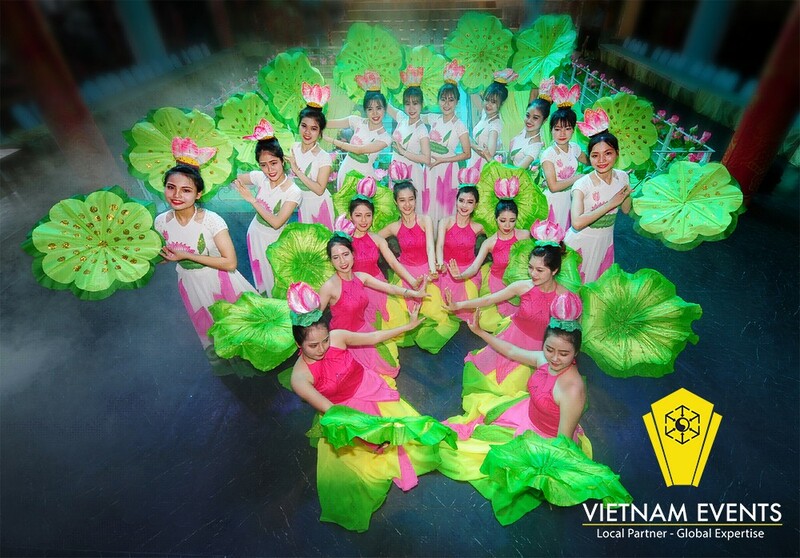 Lotus is the national flower of Vietnam so taking the lotus image into the choreography is not only close to audience but also increase the value of the performance. When performing the lotus dance, artists often dress in pink skirt made of 2 layers of chiffon fabric to portray the true elegance of the dance. The tools are usually green lotus leaves or pink lotus blossoms that are swing by the artist during performing. 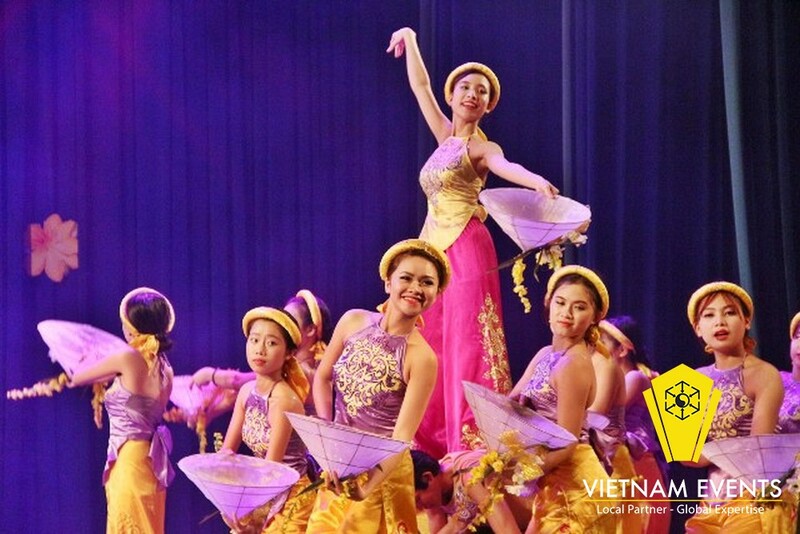 Besides the lotus dance, conical hat dance is also a Vietnamese art that highlights on the conical hat itself all over the dance. The number of dancers when performing is really flexible, can increase or decrease depending on the choreography. In conical hat dance, the artists usually wear a white dress. Girls in long white dresses, elegantly dancing with the conical hat definitely impresses the audience. Usually, a fan dance performance has 10-12 dancers. Costume of dancer is often a long chiffon dress with many simple patterns, colors. The highlight of the dance is the fan on hand with the skillful dancing ability combined with the dancer's tools. There are some moments where the fan is only used in certain parts of the dance, the rest of the performance is dancing in group. There are three main types of fans used: small fans, which use chiffon fabric to construct, can be attached to a piece of fabric outside so that the dance looks sharper while increasing the flexibility of the movement. The second type is a large fan which opens up the entire fan, the diameter can reach to half of a meter more. This fan is less common used because of its size and the limitative flexibility. The last type is a fan made of chiffon as the first type, but the longer chiffon cloth that attached outside can be as long as 1 meter to use for a performance that has less dancers. 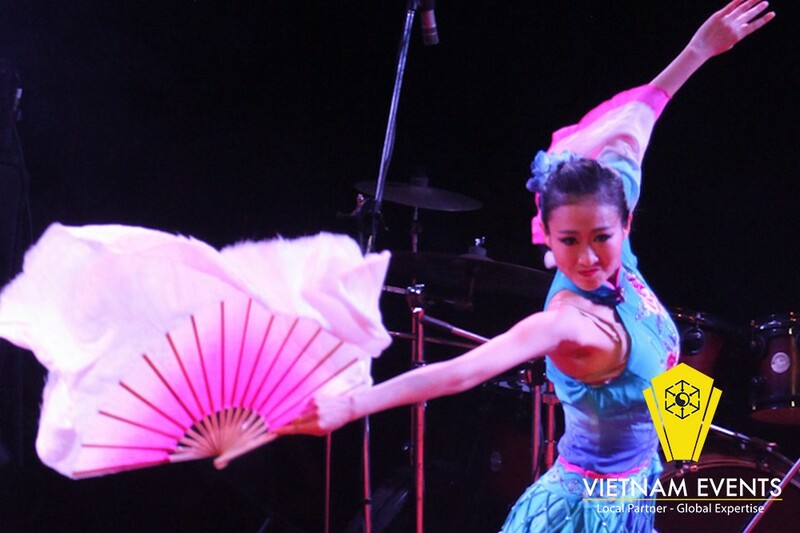 Vietnam Events offers unique dancing performances, high quality LED screens for rent with the motto "Quality makes reputation!"